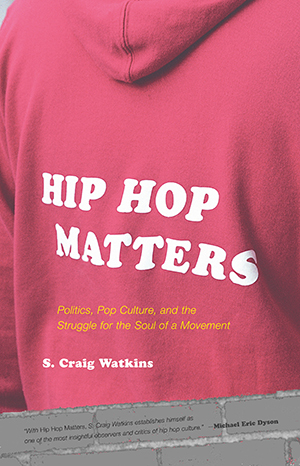 Avoiding the easy definitions and caricatures that tend to celebrate or condemn the “hip hop generation,” Hip Hop Matters focuses on fierce and far-reaching battles being waged in politics, pop culture, and academe to assert control over the movement. At stake, Watkins argues, is the impact hip hop has on the lives of the young people who live and breathe the culture. He presents incisive analysis of the corporate takeover of hip hop and the rampant misogyny that undermines the movement’s progressive claims. Ultimately, we see how hip hop struggles reverberate in the larger world: global media consolidation; racial and demographic flux; generational cleavages; the reinvention of the pop music industry; and the ongoing struggle to enrich the lives of ordinary youth.